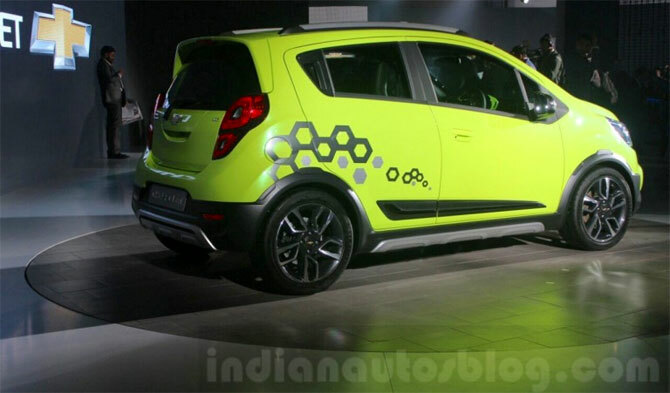 Rediff.com » Business » Chevrolet Beat Activ concept launched! 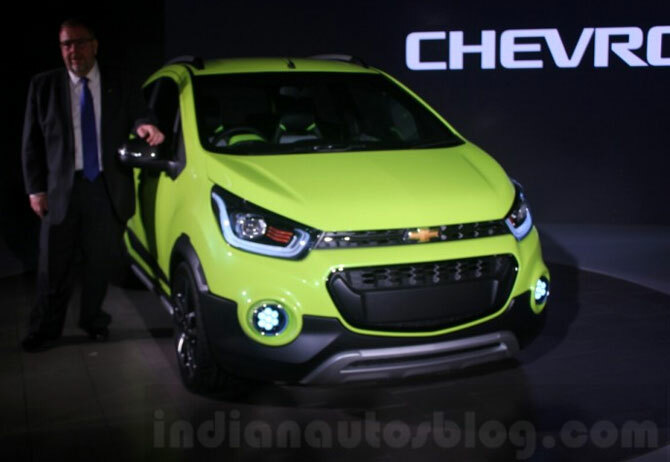 General Motors India has unveiled the Chevrolet Beat Activ Concept for India at the Auto Expo 2016 on Wednesday. 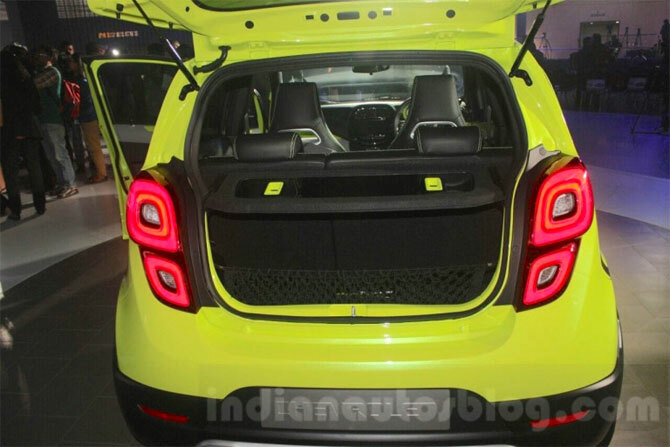 It previews a pseudo-crossover based on the 2017 Chevrolet Beat hatchback, which is due for launch in 2017. 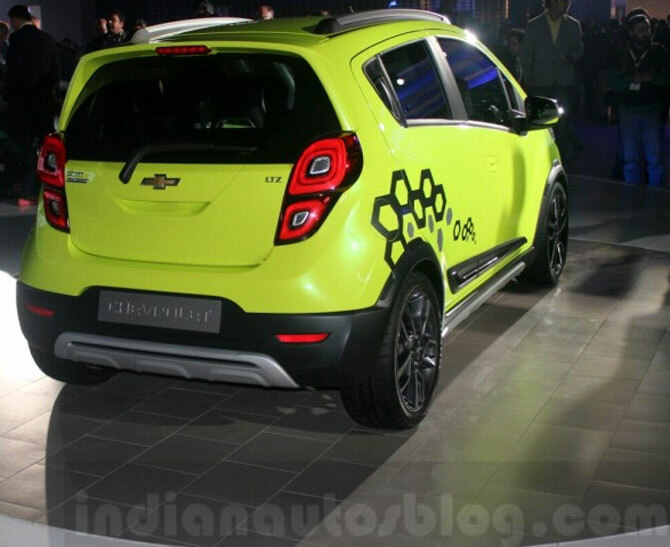 The Chevrolet Beat Activ concept debuts a new design language for GM India. 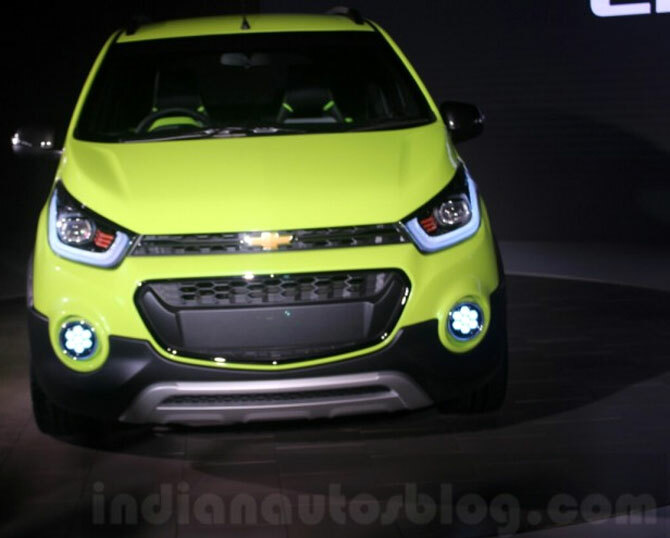 Up front, the concept features LED lighting in the headlamps and fog lamps, Chevrolet’s hallmark two-tier grille, black plastic cladding on the bumper and skid plate. Characteristic features of a crossover include a silver skid plate, plastic cladding on the bumper, roof rails and rugged-look elements. Inside, it features a two-tone beige and brown colour combination, 7-inch MyLink infotainment system, and a motorbike-inspired instrument cluster. Being a concept, no details on the powertrain are available. The Beat Activ will serve as Chevrolet’s response to the growing hatchback-crossover segment that comprises models right from the Renault Kwid to the Volvo V40 Cross Country.